Click here to download a copy of the 2019 Air Care wall calendar. 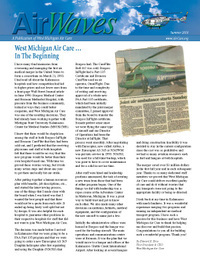 All West Michigan Air Care flights are staffed with experienced critical care registered nurses who are also licensed paramedics. This dual licensing prepares them for the occurrence of pre-hospital scene responses as well as complicated inter-hospital air medical transports. Download the MetroAlert app to Your Phone! Sign up for updates today! To be removed from our snail mail newsletter mailing list please include your last name and zip code. You will receive an email when the digital version of the newsletter is posted to the website.